OMEGA™ sturdy multi-pin connectors provide an efficient means of joining multiwire thermocouple cables. They can be used with multiple OMEGA extension stranded wire for rapid, convenient connections and for dismantling an apparatus without handling individual sensors. 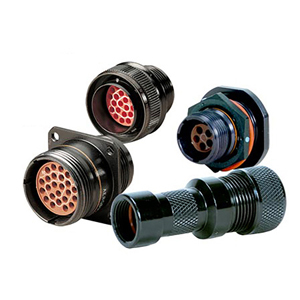 When used with MTC Series pins, the connector design utilizes a combination of resilient and rigid dielectric insulators to eliminate internal air voids and prevent the passage of air and moisture into or through the connector. Connectors can withstand ambient temperatures to 200°C (392°F), contributing to an extended connector life. Note: Contacts and connector bodies are sold separately. Backshell cable clamps provide effective support for the cable at the male or female connector and prevent twisting and pulling.